Thanks for joining me for another year at the Well Read Rabbit. Everyone who has hopped by has been so generous with their comments and encouragement, so Squish Rabbit and I would like to wish you all a very Merry Christmas and safe journey into the New Year. 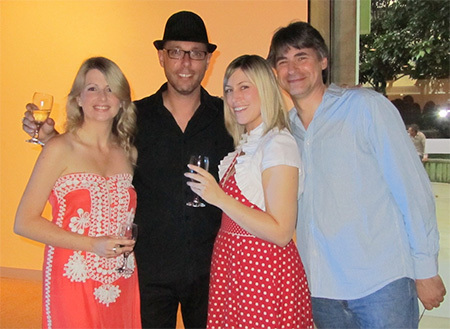 As is the way with this time of year, I’ll be taking some time off from all things writerly, including this blog. I’m currently in tropical (ie. cyclonic) Mackay, the town I grew up in, spending the week with family and friends. Then from Boxing day to New Year’s Eve I’ll be hanging out at the Woodford Folk Festival, camping, dancing, drinking and meeting lots of awesome creative types. 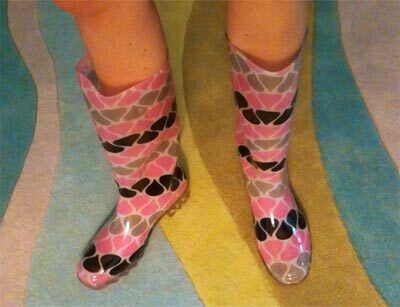 So to end the year I’ll leave you with this (somewhat frightening) image – the gumboots I bought for stumping around the festival if/when the weather sets in. Think I’ll blend in? Who said writers are a shy, unsocial bunch? I can’t speak for all writerly types, but at the very least Queensland writers aren’t. 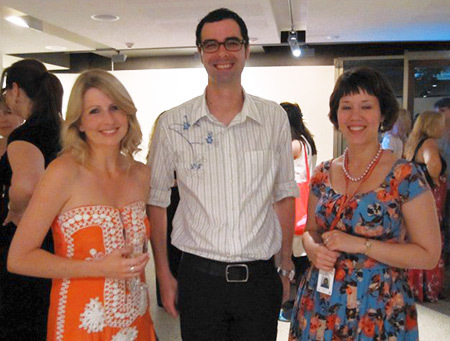 Last Thursday the Queensland Writers Centre threw its annual Christmas party, the first one held at their new premises at the State Library, South Bank. Focusing on the principles of writing for children and the craft of creating picture books, as well as covering how to build your resume and submit work to publishers, Katherine Battersby will illustrate each concept using picture book examples drawing from both classic and modern Australian titles. Perfect for anyone with a children’s story in the making!